This week’s new whisky reviews are a real treat, with four new Scotch single malts scoring above 90 points. 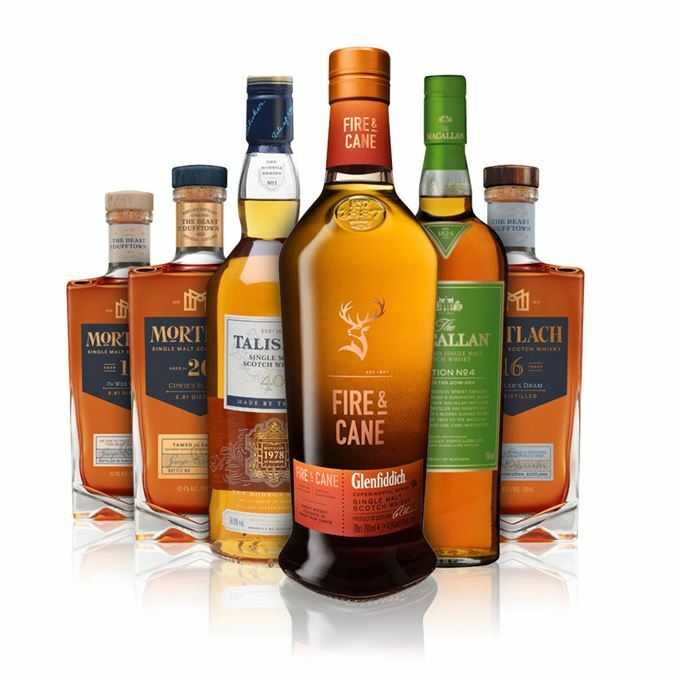 But first, Scotchwhisky.com editor Becky Paskin gets acquainted with the fourth expression to join Glenfiddich’s Experimental Series – Fire & Cane. 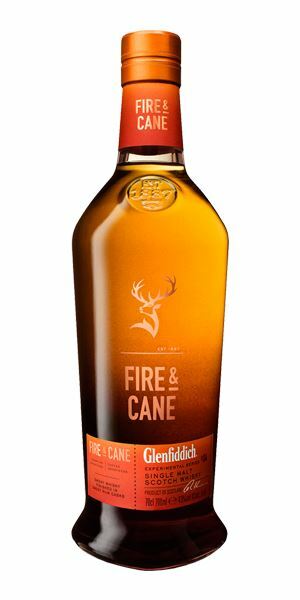 A no-age-statement peated malt finished in ‘Latin’ rum casks – a curious rarity in Scotch – she finds it fruity, sweet and smoky, but lacking integration. ‘A whisky of two halves,’ she surmises. Sticking in Speyside, Paskin moves onto Macallan’s Edition No 4, an expression matured in both European and American oak casks that’s designed to explore the structure of the whisky. ‘Glorious,’ she says, adding that at £80/US$110 a bottle you might want to seek one out quickly. 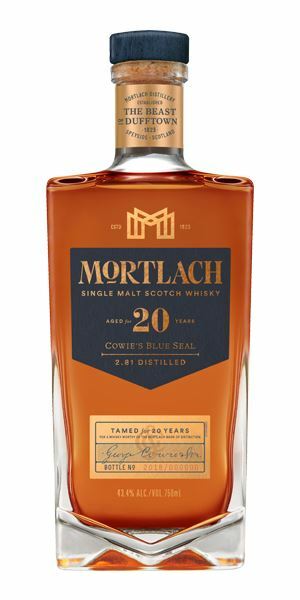 At the heart of this week’s reviews is the new core range from Mortlach, the ‘Beast of Dufftown’. It’s a trilogy of waxy, meaty whiskies – a 12-, 16- and 20-year-old – that leaves Paskin delighted with Diageo’s decision to relaunch the distillery’s range. ‘A real descent into the belly of the Beast,’ she remarks. Finally, up north to Skye, where one of the oldest expressions from Talisker has been bottled as the first in a series of Sherry-focused expressions. The 40-year-old, distilled in 1978, which has been matured in refill American oak barrels and finished in amontillado Sherry casks from Delgado Zuleta, whisks her away on a salty sea breeze to the Mediterranean coast. 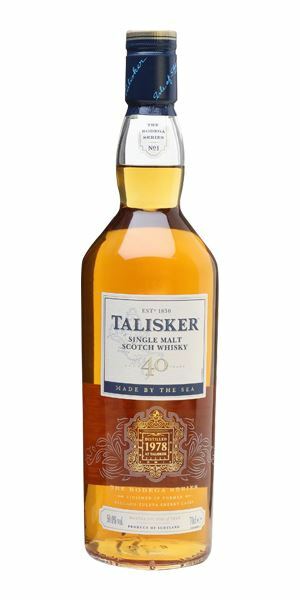 Talisker excels in Sherry casks, she says, and this is ‘no exception’. The name gives away a certain level of expectation, which the nose lives up to. Yes, there’s smoke, but it’s a dying disposable barbecue, grilled orchard fruits and banana. It’s earthy for a Glenfiddich, with the richness of Demerara sugar and molasses, but the distillery’s trademark red apple and pear signature is written all over, an element that’s amplified with a few drops of water. Soft and sweet, muscovado sugar now, with an earthy rumminess, though it’s not quite agricole territory. There are baking spices and toasted marshmallow with a hint of nuts. The smoke isn’t overwhelming at first, letting the sweetness speak for itself, but there’s a metallic soapiness tied into the smoke that soon assumes control. Sweet – almost goaty – smoke. Glenfiddich describes the latest addition to its Experimental Series as a whisky that ‘will divide you’. A peated malt that’s finished in rum casks, it certainly does feel like a whisky of two halves. Striking a match at a rum distillery. Fire meet Gasoline. Reassuringly complex, with lots of oak and wood spice at the fore, surrounded by sweet acacia honey and toffee. This alluring, zesty, citrus baked sweetness, like a lemon drizzle cake or key lime pie, is captivating. I could sit and nose this for hours. Cakey and nutty, muscovado sugar and black pepper. The wood’s effect is very much apparent – fresh oak shavings and a polished sideboard – but it’s not overdone. Sticky caramel and Jamaica ginger cake take centre stage as the wood spice builds. However, there’s enough citrus zestiness – lime peel and orange juice – to keep the spark going. Is that a touch of smoke? Perhaps a heavy char. Either way, it lingers, with a chewy, sticky fruitiness, like reduced blood orange juice. 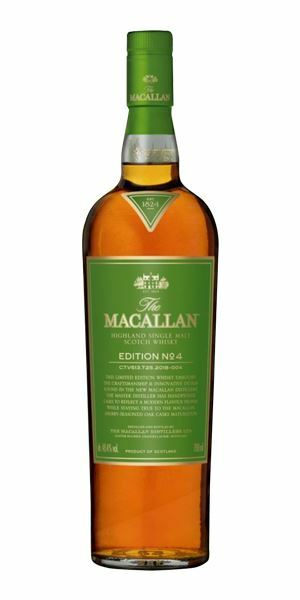 Edition No 4 is designed to showcase the ‘structure’ of Macallan. This is an absolute bargain. Just glorious. You can’t talk about the structure of Macallan without referencing its new architectural marvel of a home. A Design for Life. Immediately waxy, with a chewy toffee caramel sweetness. That said, it’s very fruit-driven, with fuzzy peach skin, dried apricots and red apples, which move into dried cranberries and nuts – almonds and walnuts. Some milk chocolate now, a Cadbury’s Fruit and Nut bar, and toasted marshmallow. The oak is light – think wood shavings and sawdust. Mouth-coating waxiness and more of those fruit notes which have become caramelised and stewed now. There’s a bitter orange marmalade note in the middle, with a hint of dark bitter chocolate and a classic Mortlach meatiness. Some earthy, herbal spices take hold towards the end – liquorice and cassia, with a touch of anise and bay. Delicately spiced, and a touch dry. 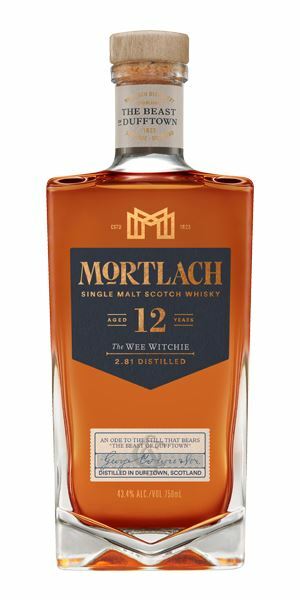 A welcome return for Mortlach at an accessible price. A perfect introduction to the Beast of Dufftown. The tentative hunting party stumbles across the Original Beast. Shy at first, although there’s a sense of greater maturity and depth than the 12-year-old. Given some time in the glass, it becomes dark and pruney, with stewed plums, sticky dates and black treacle. Dried currants and raisins, some dried exotic fruit too, like papaya and apricots, which lend an almost leathery, meaty quality. Furniture polish emerges after more time still. Dried exotic fruit again, and grilled pineapple. Then things deepen. It gets waxy and polished, sinking into an old armoir, dark molasses and treacle. Then bitter dark chocolate and berries – a dense Black Forest gâteau, accompanied by a peppery, dark Shiraz. There’s so much depth here. Meaty and sweet, but there’s a surprising hoppiness right at the close. A real journey, and perhaps even an improvement on the much-loved Flora and Fauna Mortlach 16. Diving further into the dark waters. Before you know it, you’re Rolling in the Deep. Very polished at first, and unusually scented (fir and pine), but it’s weighted by some heavy, meaty bass notes, dark chocolate and Christmas cake spices – cinnamon, nutmeg and anise. It’s intriguing, with a sense that it will develop over time, becoming richer and deeper, pulling you in. The waxiness becomes meatier still, almost gamey, moving into umami flavours now – porcini mushrooms and ceps – with a rich blackberry sauce. Soft and light at first, surprisingly so, with fleeting top notes of citrus zest and polish, before a wave of rich intensity envelops the palate. Overripe plums, dark chocolate and sticky marmalade, all contained in a mouth-coating velvety oiliness. The depth takes you to a much-loved leather jacket and dusty bookcase, before moving into soft oak spices, and those decadent umami notes of dried mushroom and black pepper. Dry, lightly sooty and umami. Deeper, waxier and meatier still, a real descent into the belly of the Beast. Becoming deeper, and more contemplative with age, Wisely & Slow. Batch 159 03/08/2018 Three lesser-known Speyside distilleries in the shape of Glen Spey, Speyburn and Strathmill. Batch 157 20/07/2018 Three malts, three grains: Balblair, Glentauchers, Cambus, North British and Strathclyde.